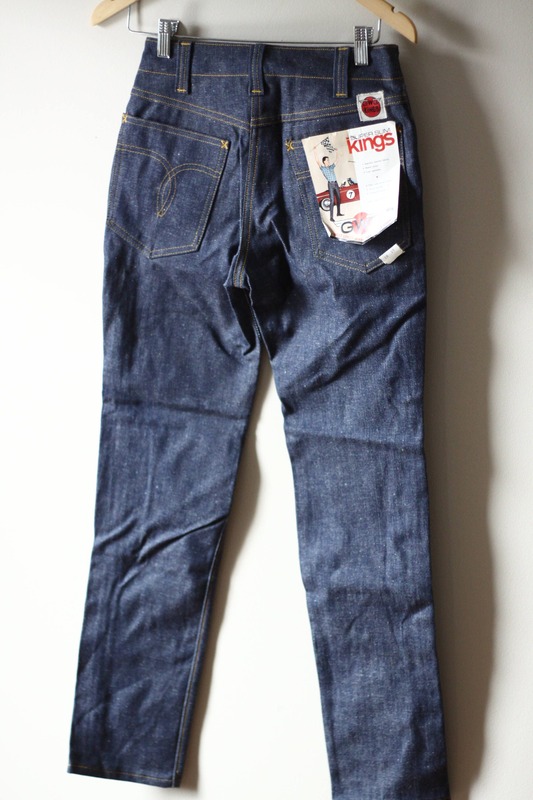 Early 1960s GWG Super Slim Kings dead stock jeans. Great condition except a little rust around the main button. 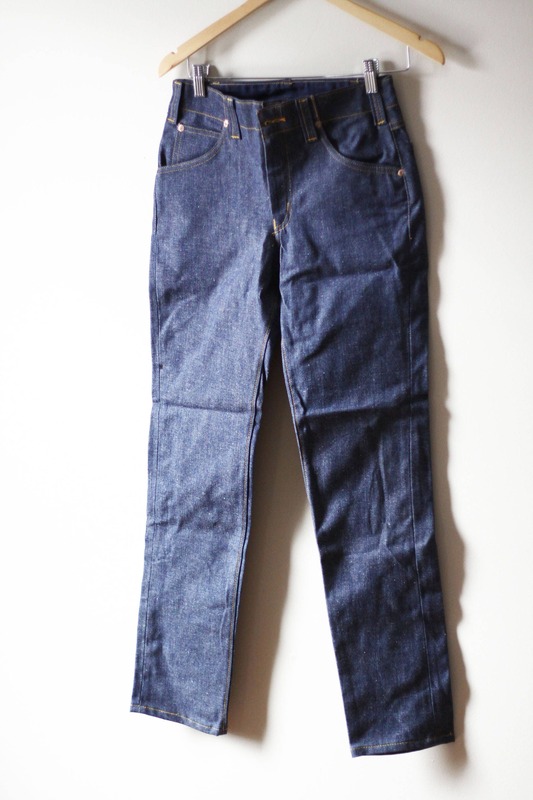 Very slim fit and could be worn by male or females. 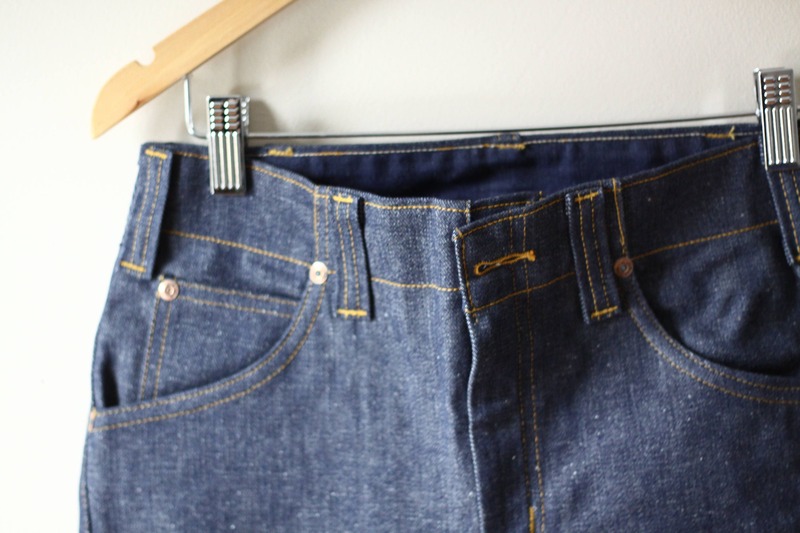 Zipper closure running up the front of the jeans. Original packaging intact on the back pocket. 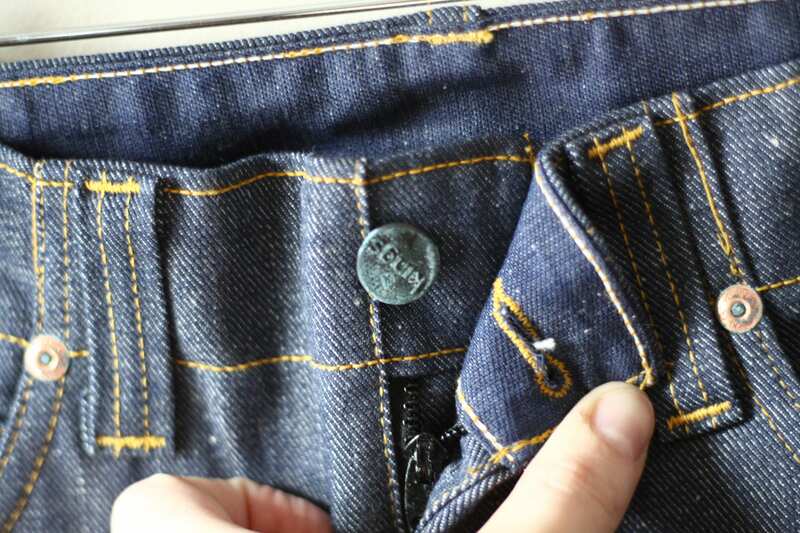 GWG was a Canadian denim company founded in Alberta in 1911. 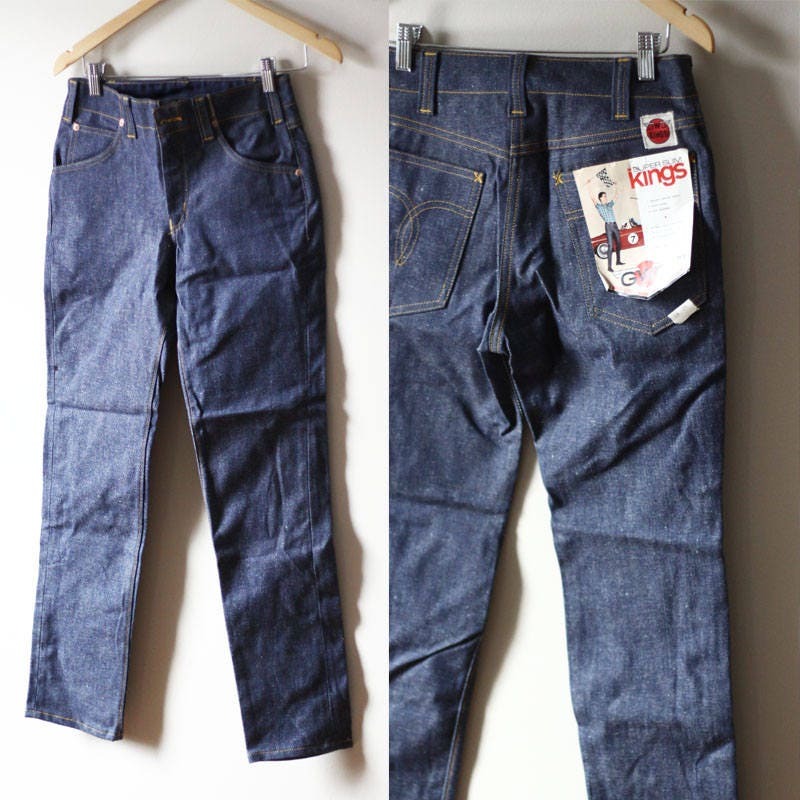 In the early 1970s the company as almost wholly bought out by Levi's and eventually closed in 2004. 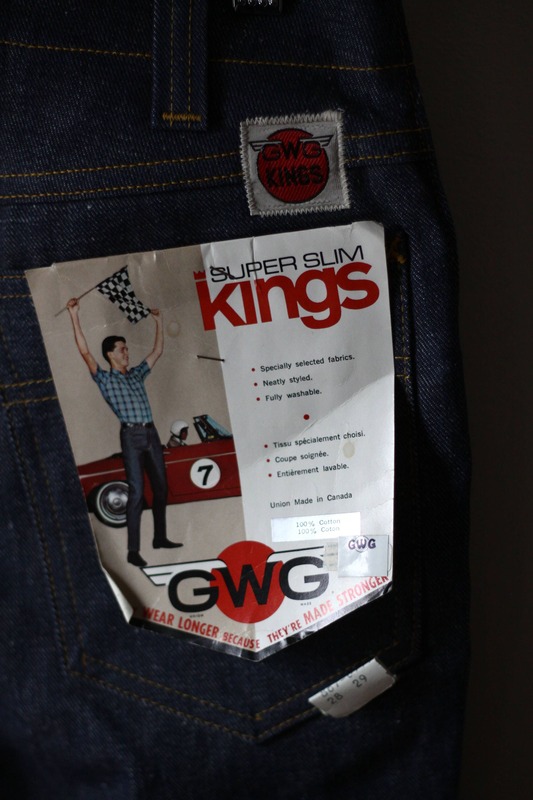 GWG has a great legacy in Canadian denim with garments 1960s and older being harder and harder for collectors to find. Bottom cuff width - 6"
Mid Calf Width - 8"
No flaws, stains, or tears. Patina on front button but good vintage condition otherwise.